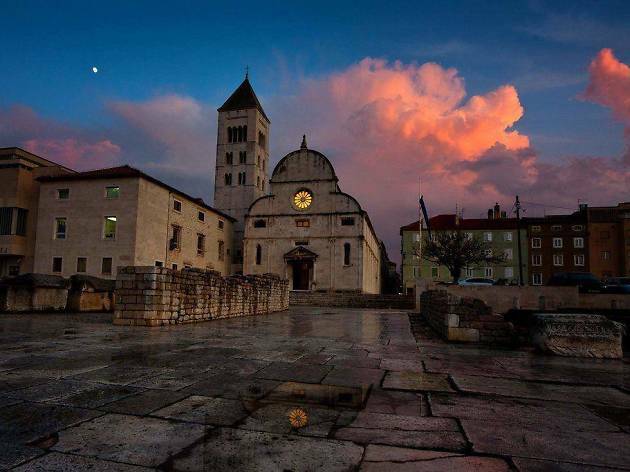 The jewel in Zadar’s crown is the church of this Benedictine convent, restored after Allied bombing, a 16th-century remake of an early Romanesque one dating back to 1066. The belltower, restored after Allied bombing damage during World War II, also dates back to this early period. 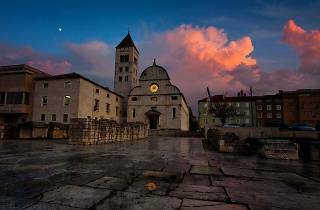 The nuns are responsible for the care of the stunning Treasury next door, known as the Gold and Silver of Zadar (Zlato i Srebro Zadra). Set over two floors, the Treasury houses Zadar’s finest ecclesiastical artefacts, including delicately crafted examples of Byzantine ornamentation, and religious Venetian art from the 16th century. Saints’ limbs are enclosed in sumptuous gold and silver reliquaries, icons, crucifixes, and everything is beautifully presented and illuminated.